Are you getting the most out of your posts on LinkedIn? 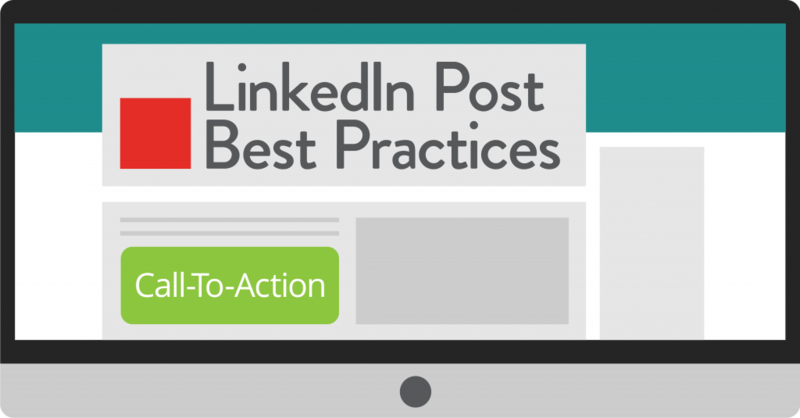 Follow these handy tips to make sure your posts are following LinkedIn best practices. Sharing valuable content with people who want to see it is the biggest hurdle with social media. Use “Targeted Audience” when posting. This makes sure that only people who are interested in what you are posting, see it. When you are creating a post, you can target the audience and it will tell you how many people you are going to reach before you press post. If the reach is not that great, remove the targeted filter. Create page admins in various countries so they can post and share relevant content to their region. Display your page’s name and description in different languages. Keep posts under 150 characters. Post descriptions should make the person want to click to learn more. Don’t write a novel in the post — link to a blog article or web page. Clear and concise CTA (call-to-action). Don’t tell people about a trade show then link the post to something else. Be unified in your message. Always have a caption for images and videos. What are they watching? What questions to you want to evoke? Post daily to establish a real connection with your audience. Get your employees involved and share behind-the-scenes stories. This is key to building trust and growing your community. Always include an image or some type of rich media in your posts. Images generally result in a 2x higher comment rate. LinkedIn Video is 5x more likely to than any other content type to start a conversation. Add subtitles to your video either using YouTube’s feature or build into your videos. Many people scroll through their feed without the sound on. Ask questions to start direct conversations with members. You can respond to comments on the go directly from your LinkedIn mobile app. Staying engaged with your followers help build trust. For video, less is more. Aim for 1 to 2 minute videos. Share PDFs and PowerPoints. This is now available on LinkedIn. Sponsor your best posts to reach more people. What to learn more? Download LinkedIn’s pages playbook for tips on streamlining your LinkedIn pages and posts. Are your LinkedIn pages living up to their greatest potential? Read LinkedIn Pages Best Practices.